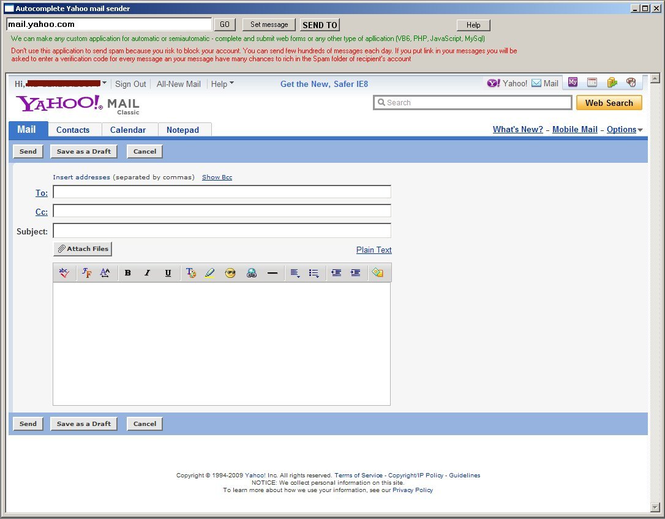 Application for sending multiple yahoo mails directly from your yahoo account. You, simply set the subject, the message, email addresses and click to send all mails automatic. This is not intended for spam, is intended to help people to send multiple mails with the same subject and the same text message.